One of my all-time favourite novels is George Orwell's Nineteen Eighty-Four, a novel that I first read when I was in high school and have read several times since. While technological developments over the past two decades have made George Orwell's fictional timeline look just slightly ahead of reality, an interesting new development, courtesy of Microsoft and another company that you probably are not aware of, has taken the world another leap into the realm of "Big Brother" and how "he's" watching us. While we are all aware of facial recognition software, this new development takes this concept one big step further. If you click on Microsoft's Emotion API webpage here, you can even upload a picture of your choice and allow the Emotion API to assess the emotion of the person in the photo. Not only does it work for photos, Emotion API also detects emotions on video. 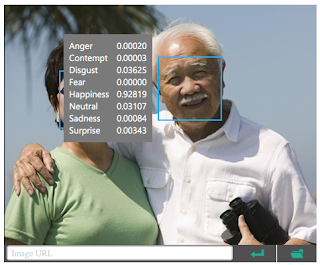 While at this point in time, Microsoft assures users that its software does not individually identify subjects who have been scanned, it doesn't take a genius to figure out where this is headed. "…allows you to gather real-time, anonymous information about your audience while they behave spontaneously in different life environments. Understand your audience emotional reactions and engagement towards your products, content and campaigns, and recognize important demographics such as age, gender and ethnicity, in real-time." 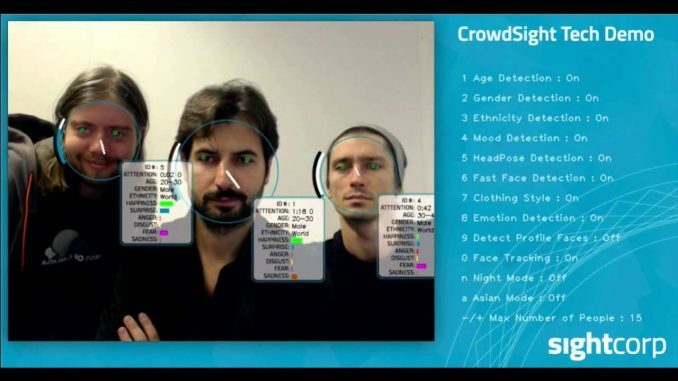 Given the anti-terrorist paranoia of governments around the world and the growing pervasiveness of the video surveillance state in much of the developed world, the use of facial emotion software could prove to be the next great tool in the intelligence networks' arsenal. Let's close this posting with one last look at George Orwell's Nineteen Eighty-Four, particularly for those of you that haven't read his book. In his dystopian novel, the state had all of its citizens under 24 hour watch through the ubiquitous use of telescreens. The ruling party ensured that it remained in power by purging itself of all dissent, including crimethink, the Newspeak word for thoughtcrime, thoughts of actions that lay outside of the official government platform. 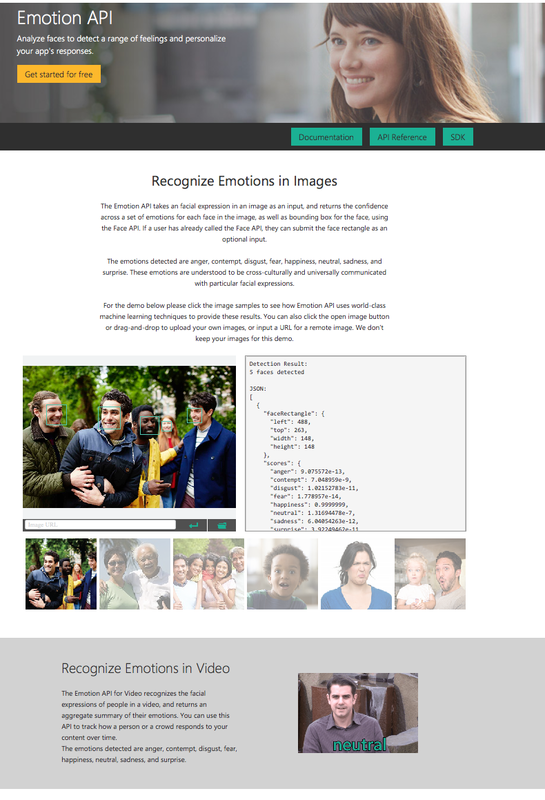 Given the growing development of facial emotion software, it doesn't take a huge leap in logic to draw the conclusion that the surveillance state could use such software to detain or surveil citizens that are deemed to have the potential to be engaged in terrorist activities simply because their facial expression appears to betray their alleged anti-government sentiments.